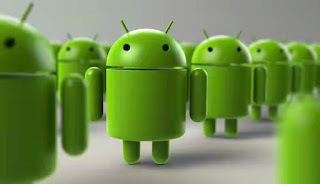 It seems like the popularity of Android keeps increasing day by day. According to a report by Strategy Analytics, Android had a global market share of 87.5 percent in Q3 2016. The OS had a market share of 84.1 percent in the same period last year. By comparison, Apple had a market share of 12.1 percent in Q3 this year, which is a decrease from 13.6 percent last year. As per the firm’s report, Global smartphone shipments grew by 6 percent from 354.2 million units in Q3 2015, to 375.4 million in Q3 2016. Out of this, Android made up 328.6 million units, while Apple shipped 45.5 million units. Neil Mawston, Executive Director at Strategy Analytics stated, “Android’s gain came at the expense of every major rival platform. Apple iOS lost ground to Android and dipped to 12 percent share worldwide in Q3 2016, due to a lackluster performance in China and Africa.” Mawston adds that BlackBerry and Windows Phone have almost disappeared due to strategic shifts by their respective companies. Further, shipments of Tizen and other emerging platforms have softened due as a result of limited product portfolio and modest developer support.